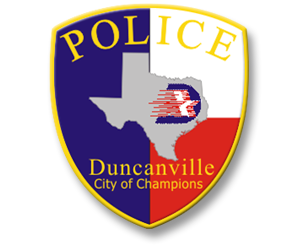 Welcome Message from Chief Robert D. Brown, Jr.
As Chief of Police, please allow me to welcome you to the Duncanville Police Department’s website. This site has been designed with the goal of providing a better, more useful resource for our citizens and website visitors. The Duncanville Police Department is committed to providing the highest level of service to our citizens and our community. The Duncanville Police Department is a full service police organization consisting of 61 sworn officers and 16 civilian employees, which provide emergency services to the City of Duncanville. Working together, we have made a lot of progress over the past several years in lowering the city’s crime rate. But there is still a long way to go before we achieve our goal of having a city in which every resident, in every neighborhood, can feel safe and secure. Accomplishing our goal will require that police and community work even more closely and cooperatively than ever before. This website is just one of many ways in which the Duncanville Police Department is working to engage the community in the type of dialogue and information exchange critical to our success. The Internet and related technologies will never replace the need for our police officers to be out in the community, working face-to-face with residents, community leaders, business owners and others. However, these technologies can help bring people together, and they can enhance our ability to fight crime and solve neighborhood concerns. I hope you find our website interesting and useful. Please visit our website often, as new content and features are added regularly. And, of course, I welcome your thoughts and ideas on how we can improve our website and police operations in general. Thank you for your interest in the Duncanville Police Department and the safety of your community. Robert began his law enforcement career in Waco, Texas as a police cadet in June of 1982. He was accepted into the Waco Police Academy in March of 1983. After graduating from the Waco Police Academy in June of 1983, he was assigned to the Patrol Division where he later served as a Field Training Officer. In June of 1988, Robert was accepted into the Dallas Police Academy. While attending the Dallas Police Academy, he served as the president of academy class #207. Robert graduated #1 academically and #3 overall in a class of 50 recruits. He also received the DOC RINK Award, which is given to the recruit with the highest situation simulation exercise score. One of his fondest memories includes speaking at the graduation ceremony on November 11th, 1988, as president of his academy class. In October of 1994, Robert joined the University Park Police Department. He worked in many capacities while employed with the University Park Police Department. He served as a Patrol Officer, Field Training Officer, Field Training Coordinator, Drug Abuse Resistance Education (D.A.R.E.) Officer, and Court Bailiff. He advanced through the ranks very quickly; becoming the first African American sergeant, lieutenant, and captain in the history of the University Park Police Department. 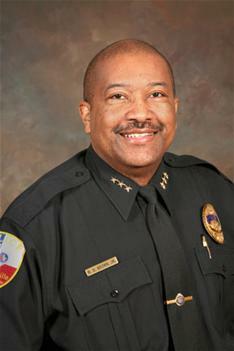 He was appointed chief of police for the City of Duncanville, Texas on February 5th, 2007. In this capacity, he is responsible for the overall operations of the Duncanville Police Department, including formulation and control of the annual police department budget, development and dissemination of police written directives, promotions and assignment of police personnel. Robert is a graduate of the 38th Management College from the Institute for Law Enforcement Administration (ILEA) in Plano, Texas. He is also a graduate of the prestigious FBI National Academy, Session #216, in Quantico, Virginia. He holds a Master Peace Officer certification from the Texas Commission on Law Enforcement (TCOLE). He has obtained training in advanced police administration, criminal justice administration, criminal justice human resource management, media relations, internal affairs investigations, community policing, and police ethics. Robert earned a Bachelor of Business Administration Degree from Northwood University located in Cedar Hill, Texas and he holds a Master of Business Administration Degree in Management from Amberton University, which is located in Garland, Texas. Robert is involved in many professional organizations and community groups, including the North Texas Police Chiefs Association, the Texas Police Chiefs Association, the International Association of Chiefs of Police, and the National Organization of Black Law Enforcement Executives. He also serves on the Boards of the Duncanville Independent School District’s Education Foundation, Dallas County Criminal Justice Advisory Board, the Tri-City Animal Shelter, and Brighter Tomorrows. As a Law Enforcement Officer, my fundamental duty is to serve mankind; to safeguard mankind; to safeguard lives and property; to protect the innocent against deception, the weak against suppression or intimidation, and the peaceful against violence or disorder; and to respect the constitutional right of all men to liberty, equality and justice. I will keep my private life unsullied as an example to all; maintain courageous calm in the face of danger, scorn, or ridicule; develop self- restraint; and be constantly mindful of the welfare of others. Honest in thought and deed in both my personal and official life, I will be exemplary in obeying the laws of the land and the regulations of my department. Whatever I see or hear of a confidential nature or that is confided to me in my official capacity will be kept ever secret unless revelation is necessary in the performance of my duty. I recognize the badge of my office as a symbol of public faith, and I accept it, as a public trust to be held so long as I am true to the ethics of the police service. I will constantly strive to achieve these objectives and ideals, dedicating myself before God to my chosen profession . . . law enforcement. Ready to join the Police Department?